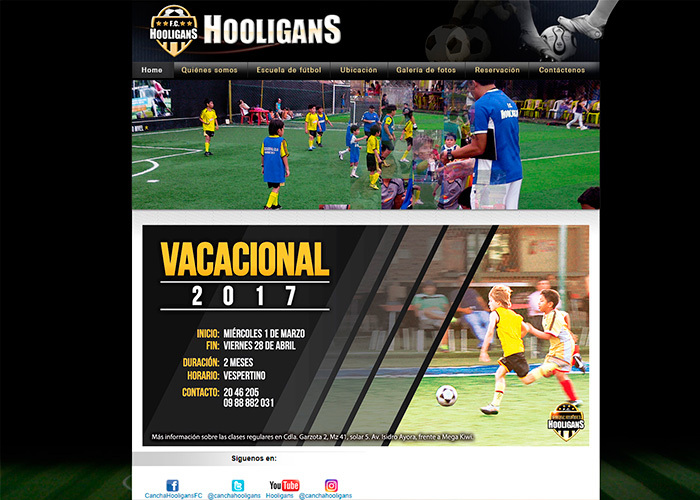 Hooligans Fútbol Club runs two large sports facilities and leads the market for indoor and outdoor synthetic sports fields rental, thanks to their professional personnel they organize all sort of incredible events. All their Futbol fields follow and exceed the highest quality standards required and recommended by FIFA. They contacted DKbyte to develop a general information website to allow visitors and prospective customer to locate their facilities and an online reservations system for their fields and events.